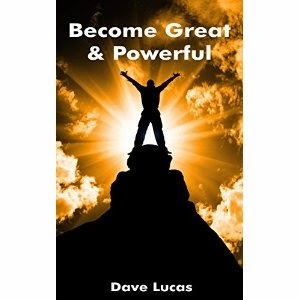 Dave Lucas' "Become Great and Powerful" is an amazing self-help book that is essential for any reader who seeks help obtaining direction for how to become successful. The book is different from many self-help books out there because it uses examples of what successful people have done in the past in order to identify how they have become great. This book uses modeling, which is the process of mapping and observing the successful behaviors of other people, in order to provide credible resources for those who want to achieve greatness. Using these examples, the readers can replicate their success in their own lives. The book also uses quotes by successful people that are relevant to each chapter’s subject matter. Some of the people quoted include Isaac Newton, Saint Augustine, Leonardo Da Vinci, and Abraham Lincoln. The book suggests thinking about your vision and putting it into action, and not only does it tell you this, but it also provides further instruction on how to do so. The book gives you action points, which are key points meant to help you put what you have learned into action. This book takes notes from people from the past, but also derives useful knowledge from current events, such as when it used the 2014 soccer world championships to explain the idea of establishing solid foundations. The people used in the books have all managed to become great in a variety of ways. Albert Einstein made a copious amount of discoveries in the intellectual fields of mathematics and the sciences, Adam Smith made several observations in Economics that are now the basic principles taught in high schools and colleges, Bill Gates is a pioneer in several technological advances, Vincent Van Gogh is a world renowned artist, and Ray Bradbury is a published author whose work can be found in bookstores all over the world. The book says that we are born for Greatness, and it can be hard to unlock that greatness on our own. I encourage anyone and everyone who needs tools on how to make their lives successful and wants to achieve greatness in their lives to read this book.